Allie’s love of math and putting people first brought her here—where commissions aren’t part of the equation. 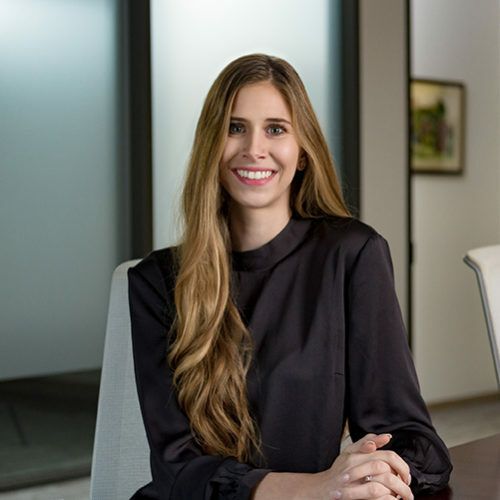 Though she first wanted to be an astronaut, Allie’s proclivity for mathematics and care for others made choosing a career in wealth planning a natural fit. Allie believes there’s more to her career than numbers alone. As part of the Wealth Planning team, she helps her clients prepare their assets for pursuing their passions and works to bring a little joy and humor to every relationship. She won’t sugarcoat her financial advice, but Allie would prefer if everything else were coated in sugar—the three “emergency” gallons of Bluebell ice cream in her freezer prove it. When she isn’t in the office, Allie loves home decorating projects, paddle boarding, and exploring all things Austin with her husband and their puppy. Oh gosh, laundry—it’s a never-ending cycle. The Magnolia Story by Chip and Joanna Gaines. I am amazed by their family. If you could meet anyone, living or not, who would you meet? Audrey Hepburn. Her kindness and elegance are unparalleled.